Xiaomi the Chinese smartphone maker is bringing out its Competitor in the Note Series named the Xiaomi Redmi Note, after its success in the smartphone market with the like os Xiaomi Mi3 and Redmi 1s the company is all set to launch its Redmi Note in the market from December 2014. In countries like Taiwan the company recently sold 10,000 Note devices in 1 second and it wants to repeat the same in India as well on its release. According to Hugo Barra Redmi Note was going to be released in January in India but recently Manu Jain the Indian head of operations confirmed that Redmi Note will be launched in December at Rs. 9,999. The sale system is not yet confirmed but it might be similar to the Xiaomi Mi3 with invite system and flash sales on ecommerce websites. 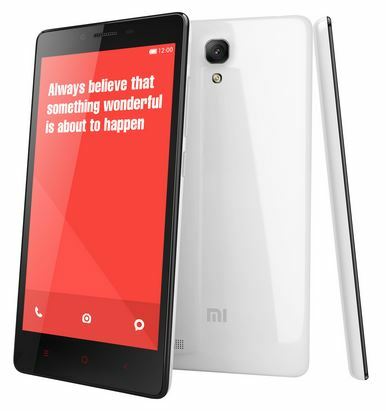 Coming to the features and specifications of the Redmi Note which comes with a 5.5-inch 720p IPS display and runs on a 1.7GHz MediaTek MT6592 octa-core processor which is further supported by 2GB of RAM. It also comes with an 8GB internal memory which can be expanded up to 32GB via microSD card. The Redmi Note comes with a 13MP primary or rear facing camera and 5MP front-facing camera. With the features being made available at the price it is being offered is going to take the 5 inch market by storm and the only drawback I see with the Xiaomi devices is the way they are being sold with the help of flash sales through online portals making it difficult to book for people without fast internet connections. And if you are not present at the time of sale you will miss the device and have to wait for another sale date which will not be confirmed at a later date. The price and devices and at offer is amazing but the lack of service centres and sale process has to be improved to make the company last longer in the market.